Pomodoro, the Italian word for tomato, has made it into the world of time management. It was in the 1980’s when Francesco Cirillo, a brilliant innovator and creator known for his works in software programming and company productivity, developed what is now known as the Pomodoro Technique. Simply put, it is a time management method that allows an individual to accomplish tasks in intervals of 25 minutes. It was named after the kitchen timer that Cirillo used when he was still a university student. 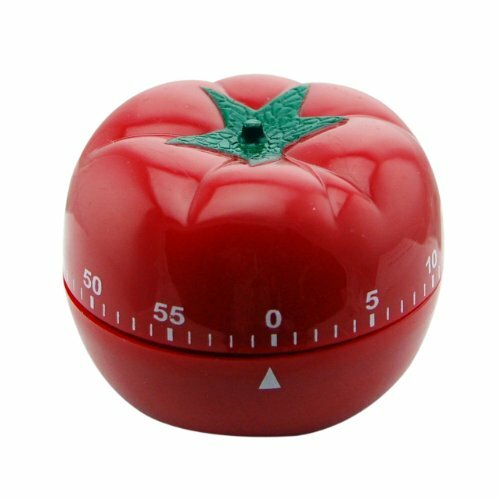 Of course, the kitchen timer was shaped like a tomato. Although the Pomodoro Technique uses 25-minute intervals, there is nothing magical about 25 minutes. You might choose to work in blocks of 15, 30, or 45 minutes. One caution: Going over 60 minutes can be counterproductive. The idea is to focus on a specific task and focus can diminish after a while. Time management is not anything new. However, Cirillo aimed to develop a method that would increase productivity while at the same time lessening stress and pressure. In line with this objective, the Pomodoro Technique revolves around four main principles that make it different from other time management techniques available. Many people feel that time is against them and that they are constantly racing against it. While this type of thinking could get you pumped up into finishing your tasks on time, the Pomodoro Technique instead teaches you to work with time rather than against it. It all begins with 25-minute intervals. How much work can you get done in 25 minutes? How many time intervals do I need for a specific task? Instead of trying to squeeze in as much work as you can for every period of time, appreciate time and understand your tasks so that you do not beat yourself up racing against the clock all the time. 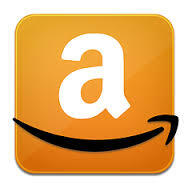 Install timesheet calc application to get your hourly totals. Aside from the 25-minute time intervals, the Pomodoro Technique includes quick breaks that are purposefully scheduled to reduce burnout and stress. Racing against the clock gives people the tendency to burn out as they push themselves harder than they should. By taking short but meaningful breaks, the mind and body are relaxed and re-energized, ready again for the next task at hand. Distractions are all around us. Especially in this day and age where everything is just a click of a button away, people can get easily distracted (Hello, Facebook?) and this could take minutes and even hours of their valuable time. The Pomodoro Technique believes in a prioritizing principle that lets you put off distractions for a later time. After all, chances are that the distractions can indeed wait, and that your world will not stop moving if you do not attend to them right away. In the end, the Pomodoro Technique gives a sense of accomplishment. When people struggle with time management, they often feel inadequate as they feel that they could have done more with their time. By mastering the Pomodoro Technique, you are able to increase productivity and so are able to allow yourself the luxury of time off that is well deserved. Enjoy balance both in your work and personal life with the Pomodoro Technique and discover the potential that you have in your person. There are many resources available that will help you learn more about the Pomodoro Technique. Aside from books and seminars, websites available online can also help get you on track to being a Pomodoro Master. The whole method may sound deceptively easy, but it has helped millions of people from all over the world. Those who find themselves giving in to temptations and to procrastination or even those who simply find it difficult to focus will appreciate the Pomodoro Technique and just how productive it can help them be. What can you do in 25 minutes? You might complete an entire task from start to finish or you might just make progress on a task. For example, you could write a draft of an article or blog post, then use one or two additional intervals to edit and publish it. You could brainstorm ideas for new products. Tackle a couple of little tasks that have been on your to-do list seemingly forever, but never rise to a level of urgency where they get done (or just delete them from the list). Take on a task you dread but have to do, such as invoicing or paying bills. Exercise–go outside for a walk, get on the treadmill or jump on a mini trampoline. Catch up on social media, and stop when the 25 minutes are up. Read something. Clear the top of your desk or organize that junk drawer. Use your 25 minutes wisely.